I am professional logo designer. I have excellent skill for any logo design. 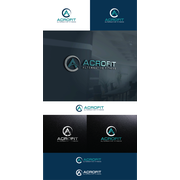 I can provide professional logo design for you. "Great designer! and fast turnaround times." "I was happy with the logo"
"I am very happy with the results I got. He's very eager and happy to accept and respond to feedback. He definitely wants to do a good job and he works very hard at achieving that goal. The only thing I think could be improved would be communication. ..."